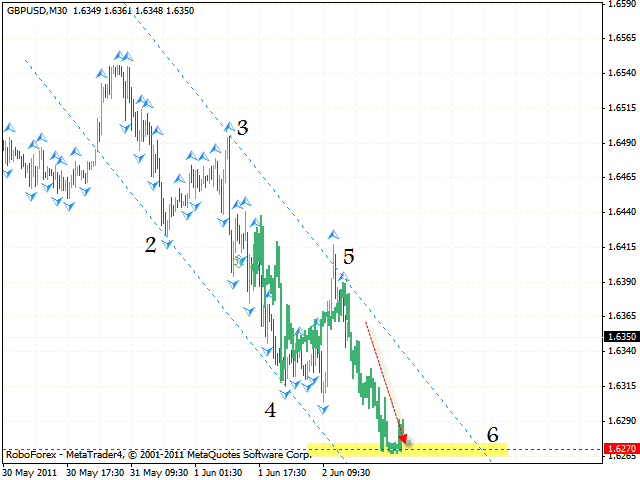 In case of the EUR/USD currency pair we have “failure swing” reversal pattern forming at the moment. 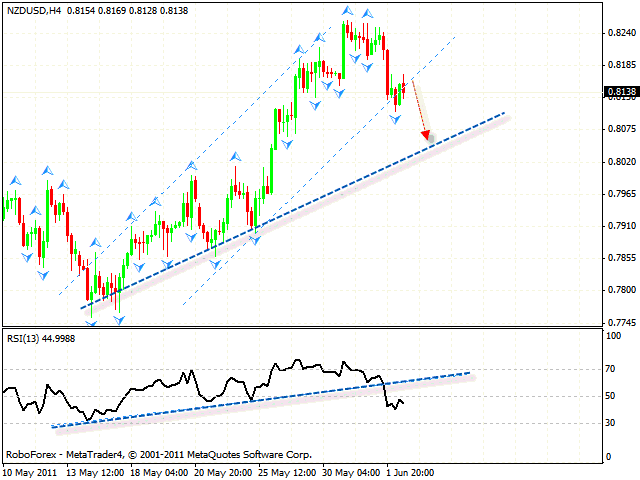 The price breaking the support level at the RSI is a signal to sell the pair. The target of the pattern is the area of 1.4329. 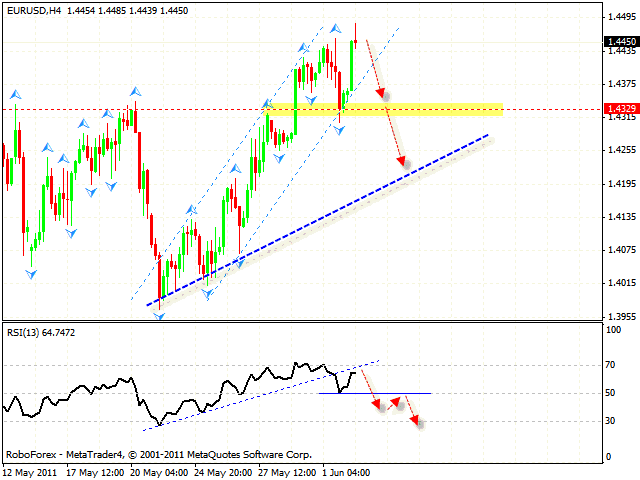 There is still some potential for the price to test the trend’s rising line in the area of 1.4190 at the price chart. One can try the tight stop sales. Pound is moving inside the descending pattern, the target of the fall is the area of 1.6270. One can try the tight stop sales. But if the price breaks the descending channel’s upper border and leaves it, this case scenario will be cancelled. 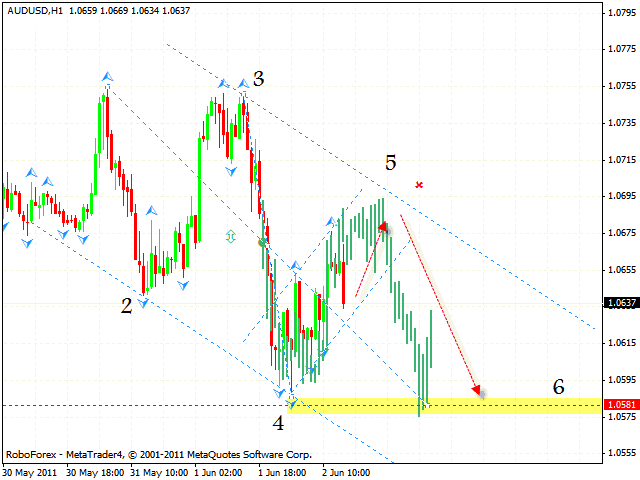 In case of Australian Dollar we can see the formation of the descending pattern with the target in the area of 1.0581. At the moment we should expect the price to grow to the level of 1.0685 where the 5th point of reference is formed. One can try the tight stop sales in this area. But if the price breaks the descending channel and leaves it, this case scenario will be cancelled. Canadian Dollar is moving according to the forecast. Currently we should expect the price to grow into the area of 0.9812. One can consider buying the pair near the rising channel’s lower border. If the price breaks the channel’s lower border, this case scenario will be cancelled. New Zealand Dollar has almost left the rising channel. At the moment we should expect the price to fall to the rising trend’s line at the price chart. 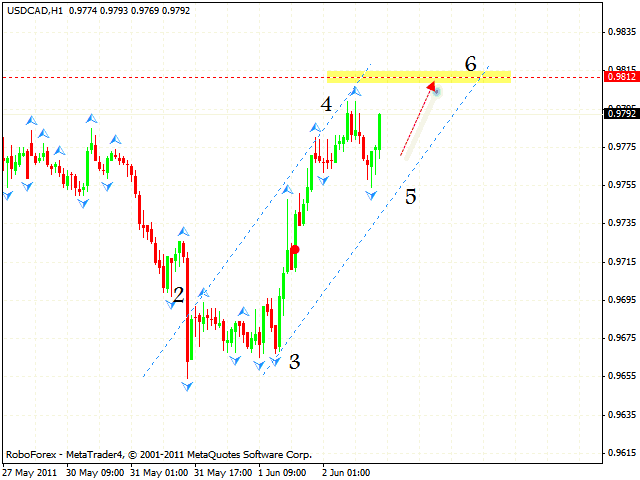 One can try to sell the pair with the tight stop above 0.8180.